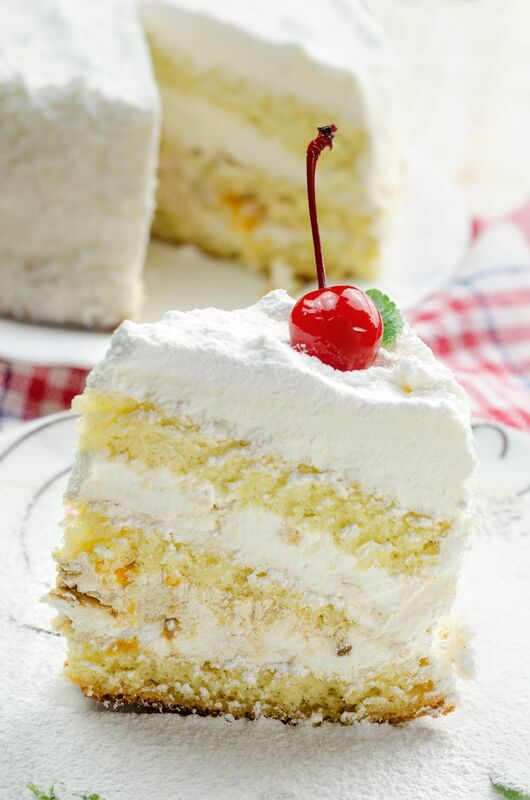 This pina colada cake is made with a cake mix, pudding, Coco Lopez coconut, rum, and pineapple. In a large mixing bowl, combine cake mix, pudding mix, 1/2 cup cream of coconut, 1/2 cup rum, oil, and eggs. Pour into a well greased and floured 10-inch tube pan. Bake for 50-55 minutes. With a table knife or skewer poke holes about 1 inch apart in cake almost to bottom. Combine remaining cream of coconut and rum; pour over cake.